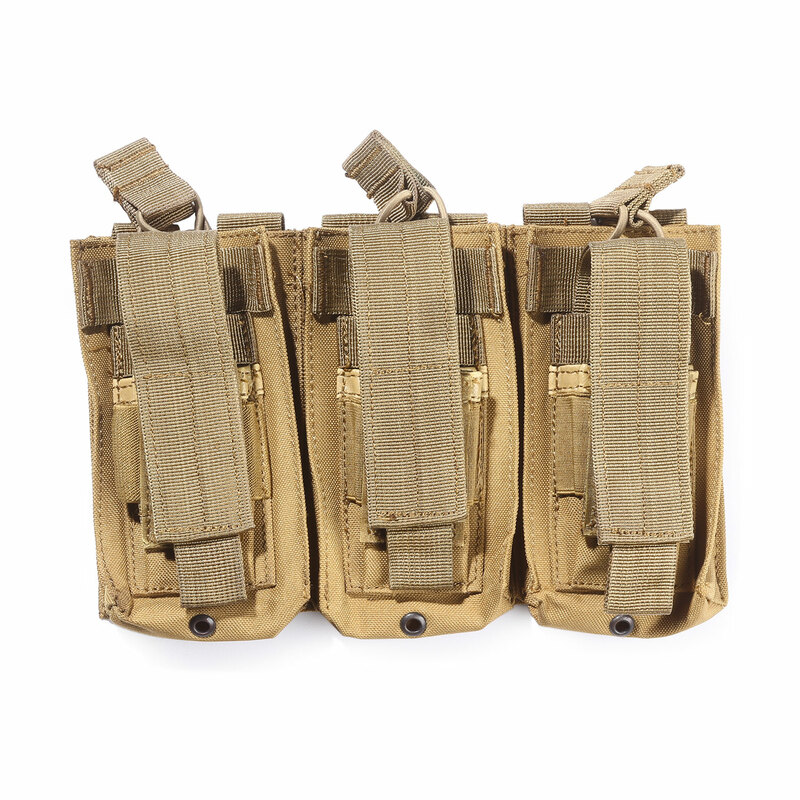 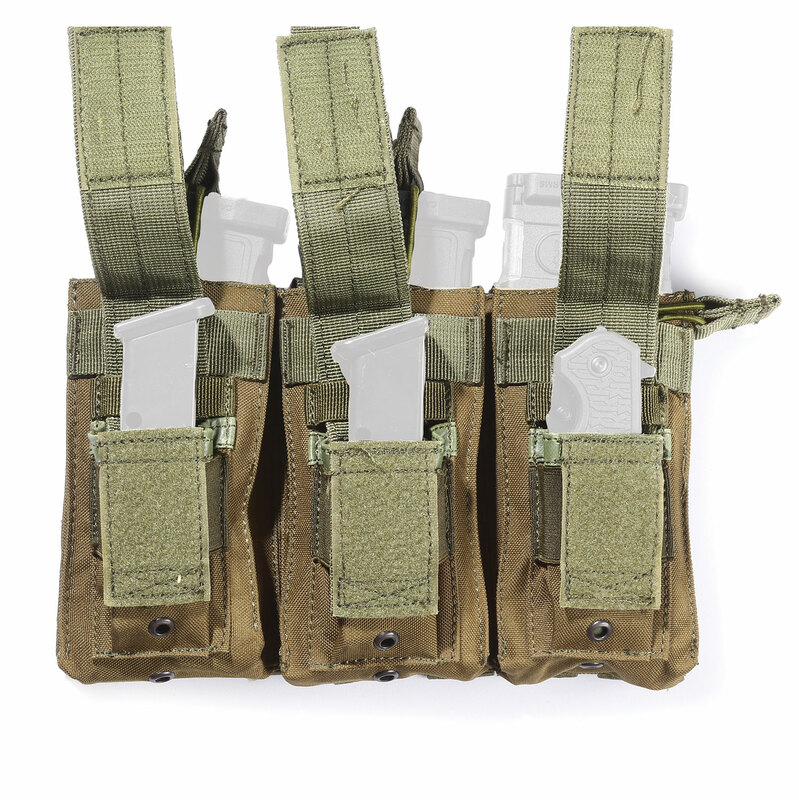 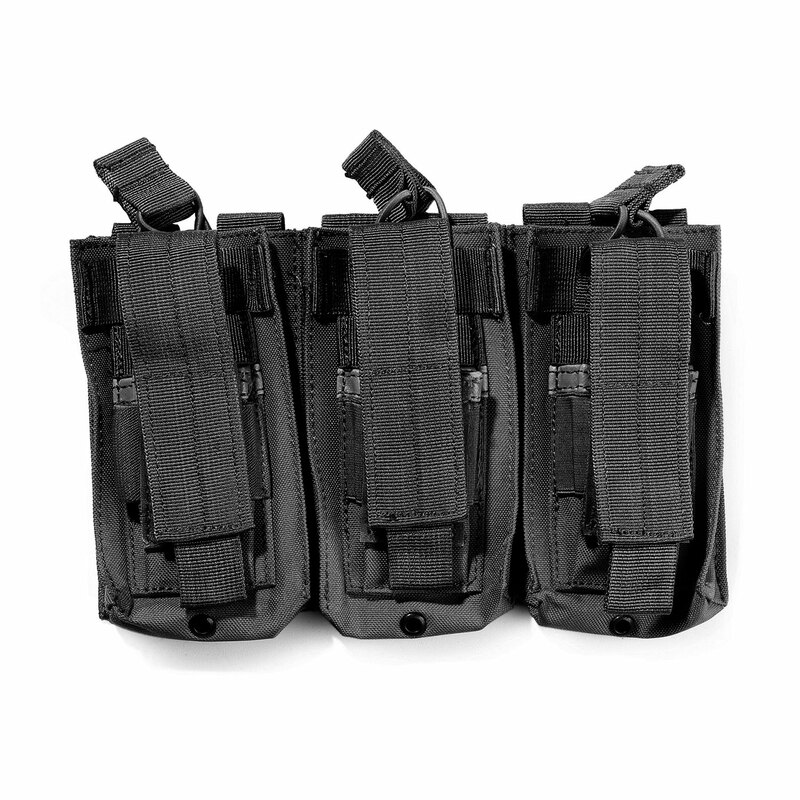 This triple mag pouch from 5ive Star Gear securely carries three 30-round M4/M16 magazines. 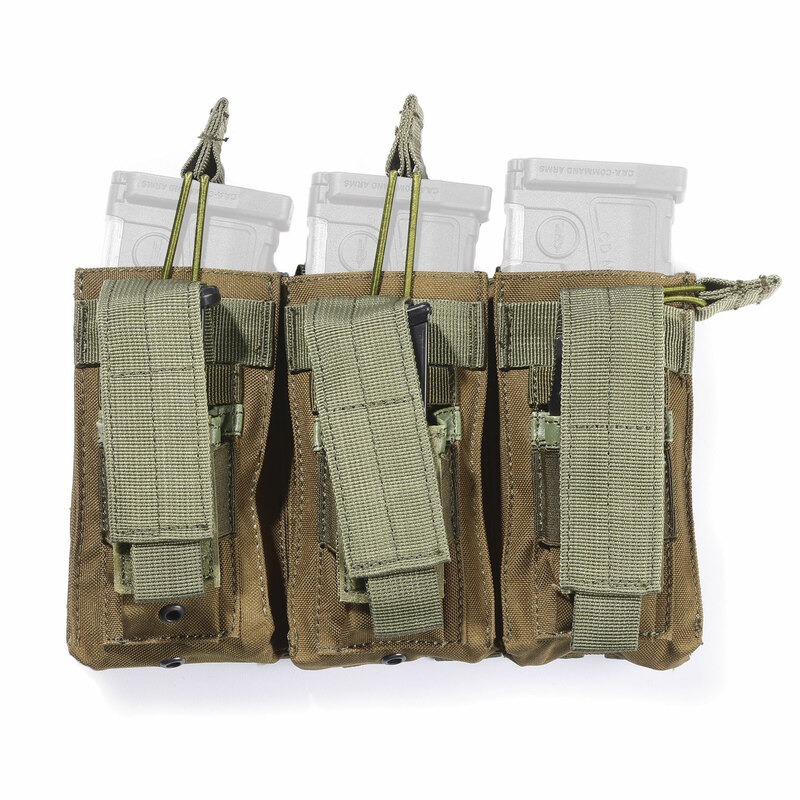 Each mag slot includes a pistol mag pouch located on the front of the pouch with hook-and-loop full flap cover. 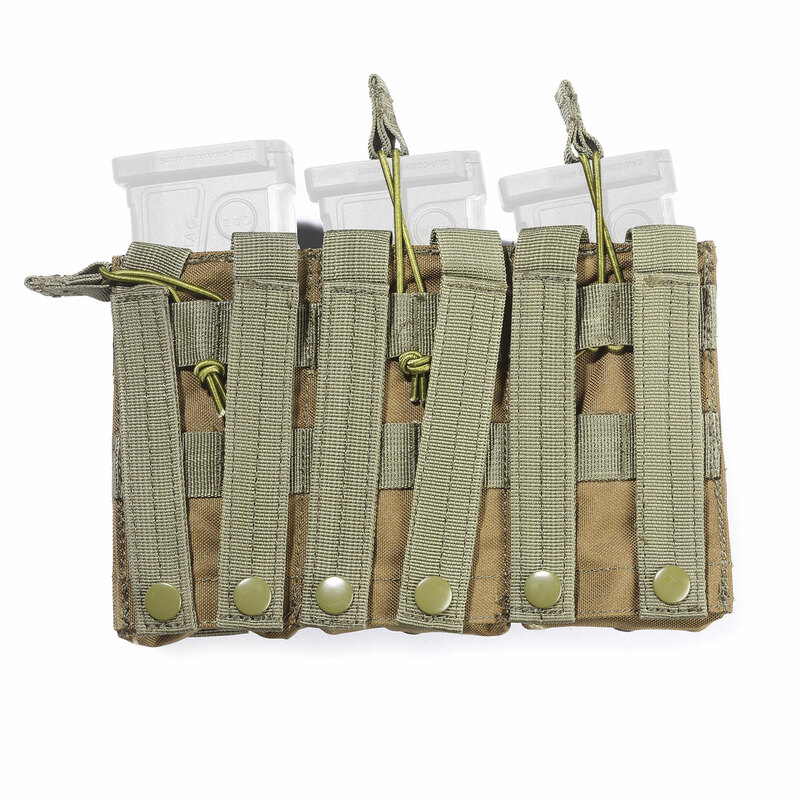 MOLLE compatible, allows modular attachment by reinforced universal straps to vests, packs, range bags, or other equipment.